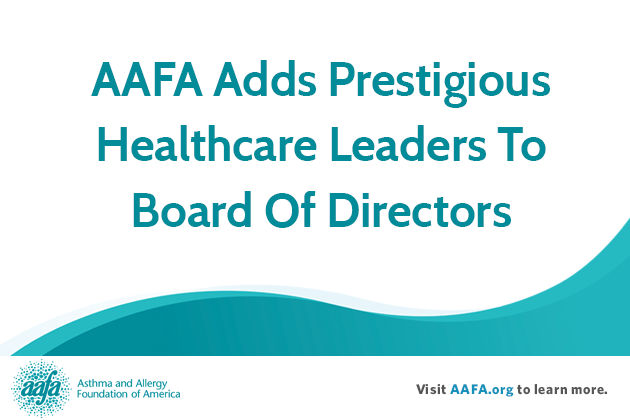 Thank you to all who have sent me congratulations on joining the Board of Directors of the Asthma and Allergy Foundation of America. 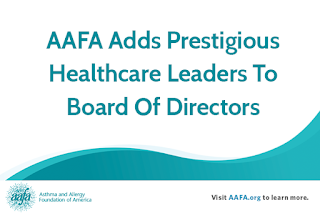 As I join the board, I am honored to be joining others in the food allergy community who you may know as well, including Heidi Bayer (board chair), Paul Antico (we all know him from Allergy Eats), and Dr. Dave Stukus. You can find the entire board leadership here. And... I hope you are as thrilled as I am to see that Lynda Mitchell has been promoted to Chief Operating Officer of AAFA and Melanie Carver has been promoted to VP of Community Services. So please congratulate them as well!! Thank you, Colette! I'm really looking forward to this year and am excited by all of the extraordinary talent and expertise on AAFA's board. Thank you for joining us! An impressive group indeed! Congratulations Colette and thank you for all you do to help the food allergy community.